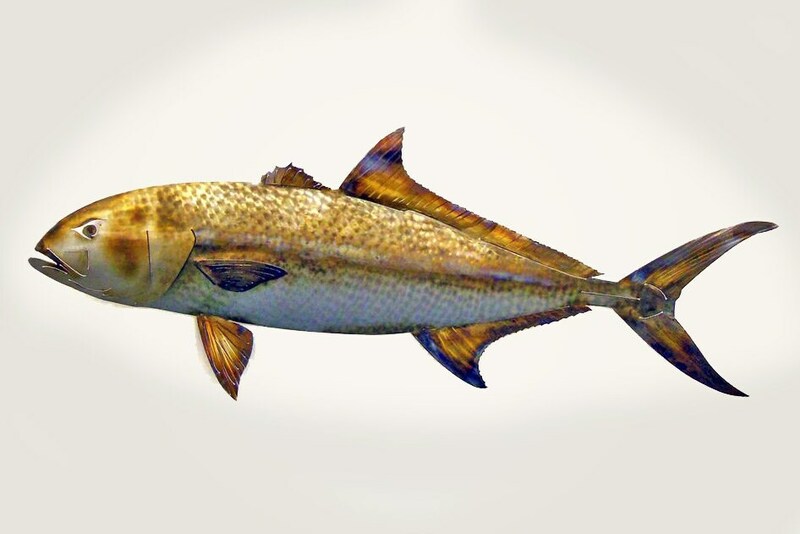 This 42" Amberjack is handcrafted by AHRts Metal Artwork. It is shown in Stainless Steel and is hand colored using heat techniques. 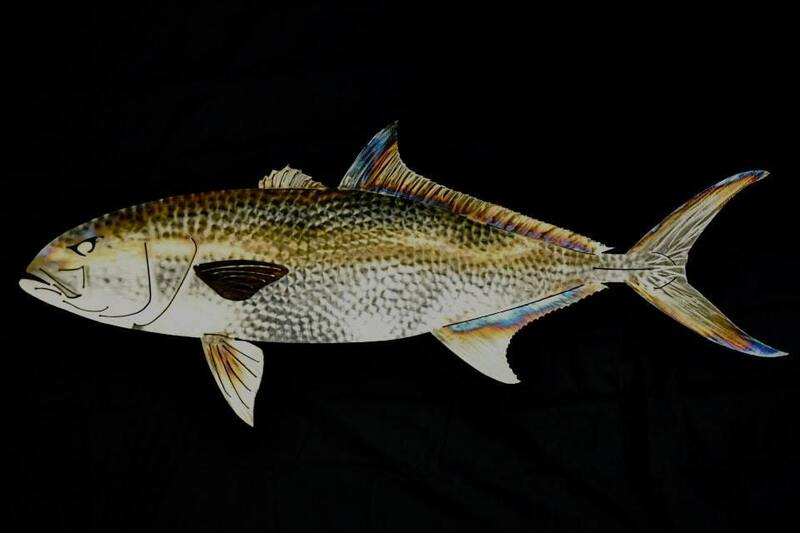 This beautiful, realistic Amberjack is perfect for your beach house or office, or hanging on the wall of any avid fisherman. Contact us for custom sizes.